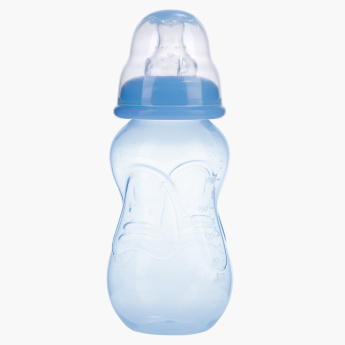 Nuby Non-Drip Feeding Bottle - 210 ml | Blue | Bpa free. 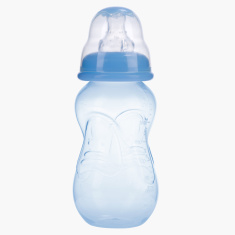 Avoid spills and stains by feeding your little one with this feeding bottle specially designed with non-drip systems. The lid on the top and the apt shape makes this bottle a must-have. Feature 2 : Specially designes as Non Drip system. Feature 3 : Anticolic System.Teething nubs massage gently baby gums.